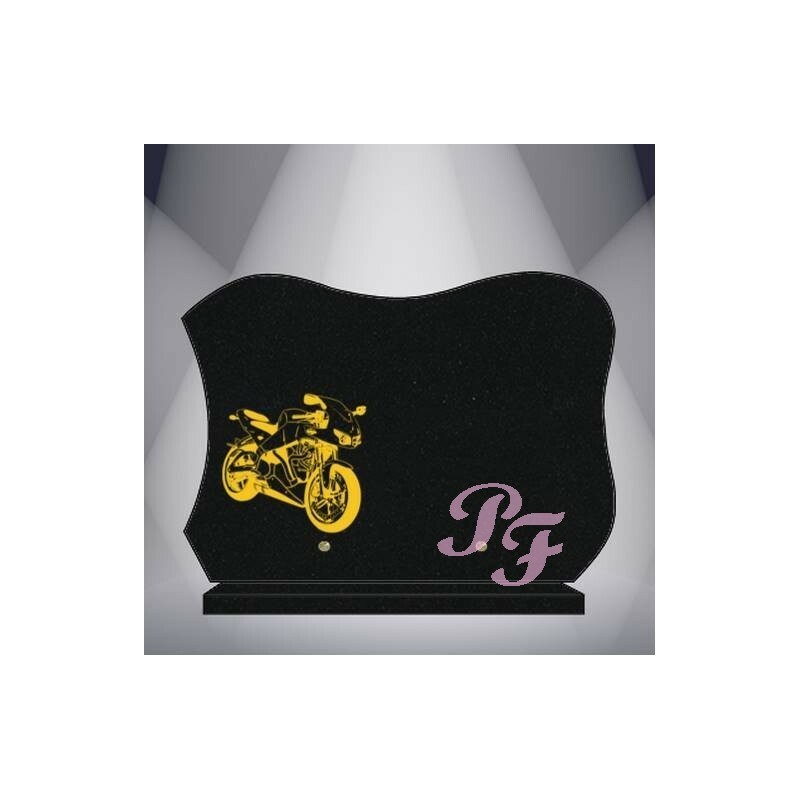 Funeral fine gold plaque engraved with customizable text MARLIN BLACK GRANITE. 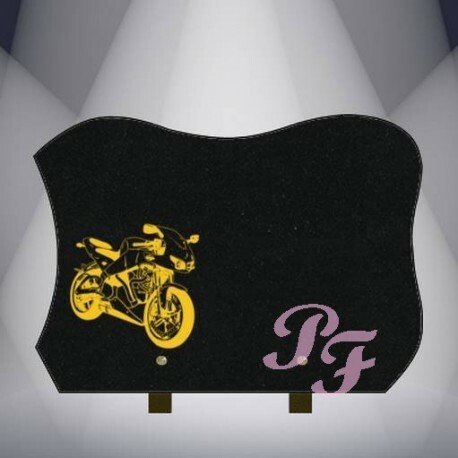 This model is available with support "Feet Bronze" or support "granite base", confirm using the dropdown at the top right of this page. You can now add your own text (Limited to 99 characters) in the customization section below "CUSTOM" "TEXT" below.